The Elder Scrolls series has had a long history with players traveling all across Tamriel. 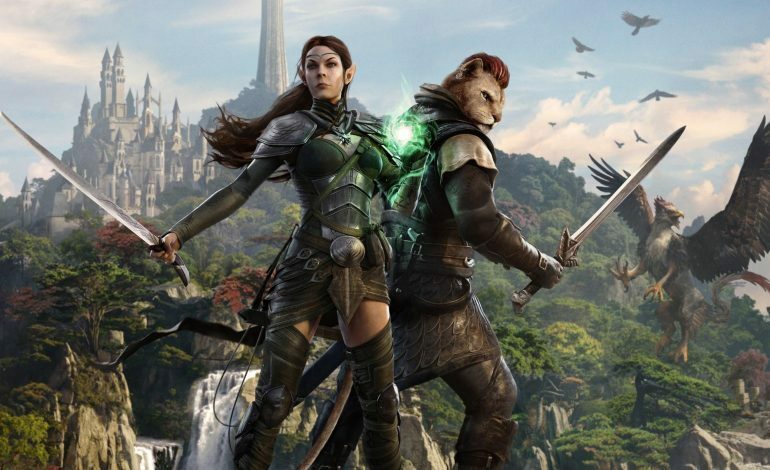 Come later this year, fans of The Elder Scrolls Online MMORPG will be able to visit the Isle of Summerset, the land of the High Elves, for the first time since The Elder Scrolls: Arena in the latest expansion, Summerset Isle. Lore says that the Queen of the Isle of Summerset, Ayrenn, has opened her kingdom to foreigners. However, a Daedric threat looms over the homeland of the High Elves. While in Summerset Isle, players must gather allies to unravel the shadowy conspiracy that not only threatens the Isle of Summerset, but all of Tamriel as well. Summerset Isle will introduce players into a vast new area that is even grander than last year’s Vvardenfell while still retaining a stunning beauty. In addition, the long-running Daedric quest-line will conclude from the start of 2015’s Orsinium DLC. For the first time in an Elder Scrolls game, players will be able to join the illusive Psijic Order and explore their secretive home city, Artaeum. In addition, the Psijic Order’s mages will introduce a new magic skill line for players to command and master. A new crafting skill will be introduced in Summerset Isle in the form of Jewelry crafting, a powerful skill that allows players to forge their own trinkets for battle. Also, new group PvE challenges are here. The challenges of Cloudrest will test a 12-player group’s mettle with new delves, bosses, and the all new Abyssal Geysers. Pre-orders for Summerset Isle are currently available with multiple pre-order bonuses. All players who pre-purchase Summerset Isle will receive the Queen’s Bounty pack, which contains the Court of Bedlam Costume, Pocket Salamander Pet, Treasure Maps, Psijic Vault Crown Crate, and Experience Scrolls. In addition, players who do not own ESO will receive the base game for free if they pre-order the expansion digitally. Also for a limited time, players who pre-order Summerset Isle will also receive last year’s expansion, ESO: Morrowind, for free. Last but not least, all digital pre-orders will come with the Nightmare Senche Mount for immediate use in-game. To sweeten the deal even further, ESO will be having a free week for PC, Mac, and PlayStation 4 starting on March 21 and Xbox One on March 22. All players will have full, unrestricted access to the base ESO game until March 27. Summerset Isle will launch on June 5 for PC, Mac, Xbox One, and PlayStation 4.